For the past several years, the Fulbright program has recognized Kenyon as a top producer of Fulbright fellows among national liberal arts colleges. The trend continues. 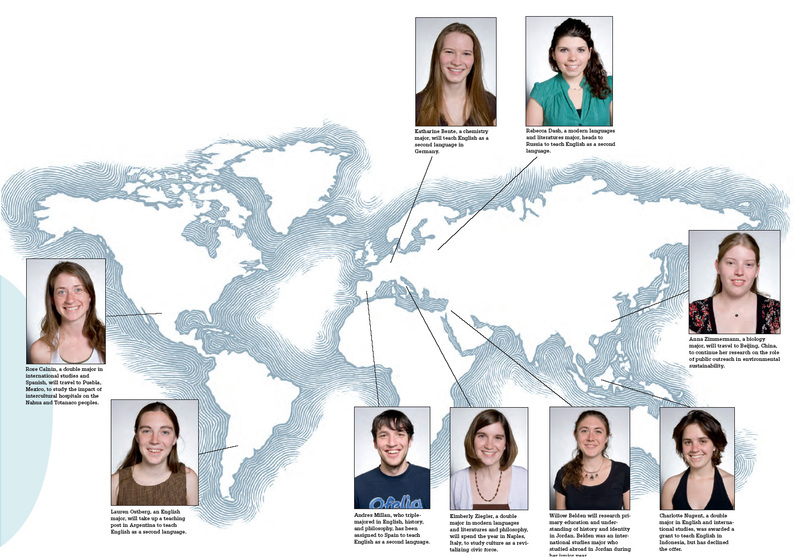 Nine graduates in the Class of 2007 have been awarded Fulbright fellowships for research or teaching around the globe next year. The eight who have accepted the award will travel to as many countries, across Asia, the Middle East, Europe, North America, and South America, to conduct research or teach English as a second language. The fellowships fund a postgraduate year of travel and living expenses, and have been known to launch careers. In addition to these awards, one senior was named a winner but declined the grant.